Glossy Wall Tiles: 300 mm x 450 mm. We are manufacturing, exporting and supplying Glossy Galicha Floor Tile to our customers. These tiles are perfect to be used for decor needs. Used to form wall and floor coverings, the introduced range is durability and moisture resistant. Available in plenty of designs, these tiles can be purchased at reasonable rates. We are engaged in offering a wide array of Elevation Series Glossy Tile. These Glossy Tiles Tiles are made by using high grade raw materials and available in different sizes, colours and designs. Our range of tiles are widely appreciated by our clients for their attactive and flawless designs. We offer these Tiles at most affordable prices. We are engaged in offering an excellent range of high quality Designer Glossy Tiles to our most valuable clients. Our Designer Glossy Tiles gives contemporary look to the interiors of homes and offices as well. Our tiles are also appreciated for their smooth surface, durability and exquisite designs. These Glossy Designer Tiles are known for its high quality & durability. Attractive Designs in a glossy finsish. Available in sizes of 24" X 24". Our technical excellence enables us to offer a high quality range of Glossy Light Dark Series to our clients across the globe. Made using fine quality raw material, these tiles have high resistance to stains and ensure low maintenance cost. We are offering ivory glossy collection tiles which are made from quality material. Our entire range of ivory glossy collection tiles ensures durability, elegance and attractive patterns. We are availing these ivory glossy collection tiles in different colors, designs and on competitive price range. 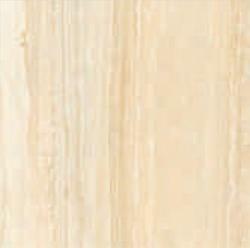 High quality Ivory Glossy Tiles – 6024 offered by us is enhance the look office and home décor. These tiles are provided in different sizes and shapes. Our tiles are extremely attractive and are offered to the clients to the customers at cost-effective rates. We have a capacious warehouse, where these tiles are stored in bulk quantity. We are one of the organization engaged in providing superior quality of Glossy Tiles. These Glossy Tiles are available in market at competitive rates. We bring forth a comprehensive assortment of Rustic Glossy Light Dark Series Tiles for the clients. These tiles are designed and made by deft professionals making use of advanced facilities and high-grade raw material. Further, clients can avail these tiles in tandem with the specifications detailed down by the clients. For the diverse requirements of our clients, we are also engaged in manufacturing, supplying, exporting, trading and distributing an extensive range of Designer Floor Tile 30 x 30 cm. These tiles are very lustrous and glossy in texture and offer excellent finishing with long lasting service life. Latest equipments and advanced technologies are used while manufacturing these floor tiles. Our organization holds expertise in offering an exclusive array of Floor Tiles- Super Glossy Series. The products are offered to the customers at leading market prices. These tiles are manufactured in various shapes and sizes and are recommended to be used in both residential and commercial sectors.